This luxury firm euro pillow top mattress is for those who prefer a stiff surface support with just a hint of softness for comfort. This mattress also features PrimaCool, PrimaSense, and PrimaCore technology. This technology promotes a cooler sleeping environment, while still providing you with the comfort and support you need for your unique shape. 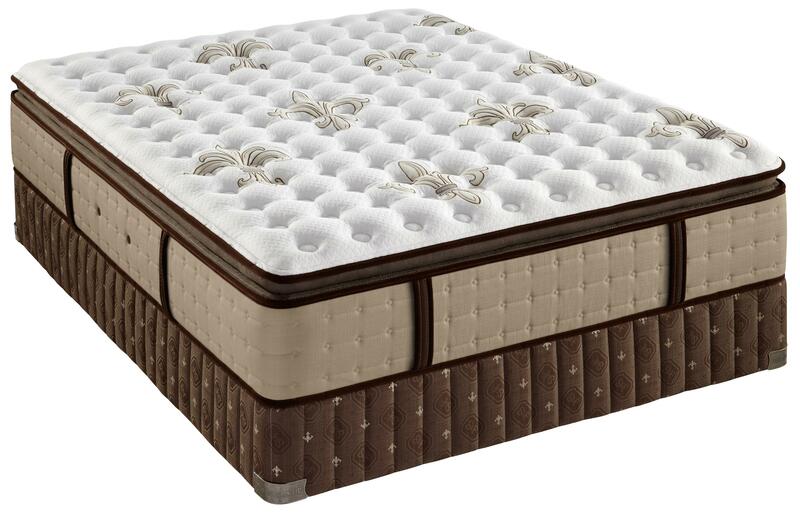 Transform your ordinary night's sleep to an opulent sleep experience with this luxury firm euro pillow top mattress. The Oak Terrace IV Queen Firm Euro Pillow Top Mattress and Box Spring by Stearns & Foster at Furniture Fair - North Carolina in the Jacksonville, Greenville, Goldsboro, New Bern, Rocky Mount, Wilmington NC area. Product availability may vary. Contact us for the most current availability on this product. The Oak Terrace IV collection is a great option if you are looking for Mattresses in the Jacksonville, Greenville, Goldsboro, New Bern, Rocky Mount, Wilmington NC area. Browse other items in the Oak Terrace IV collection from Furniture Fair - North Carolina in the Jacksonville, Greenville, Goldsboro, New Bern, Rocky Mount, Wilmington NC area.